To prepare the broth of chicken. 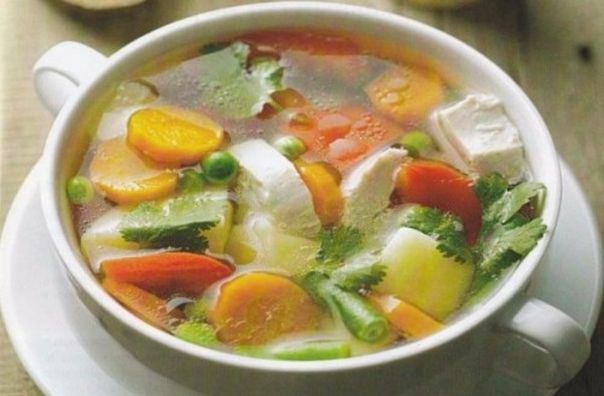 It is better to take chicken soup and divide it into pieces (leg, thighs, etc.). Meat needs to be put into cold water, bring to a boil, remove the foam and cook on low heat for 1.5-2 h. Then, to remove the meat, put in a container with a lid that has cooled down a bit. In the boiling broth chopped potatoes, bring to a boil and boil for 10 minutes, then put green beans and green peas, or corn, and cook for another 10-15 minutes. 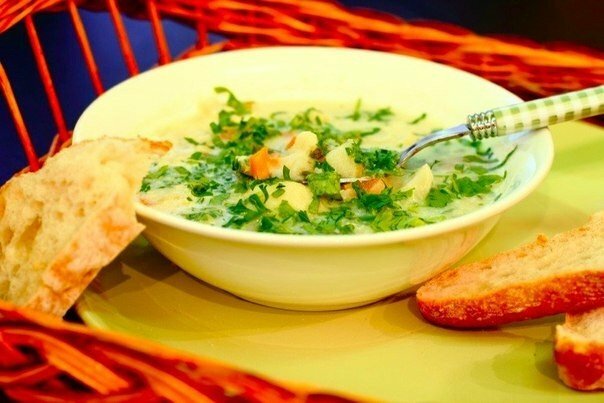 For soup can be used as frozen and fresh vegetables. Lay them in the broth should not defrosting. In a pan heat oil and fry finely chopped onion until translucent, add grated on a coarse grater carrots (cut into small cubes), cut into small dice tomatoes and bell pepper. Fry for 10 min. Add Bay leaf, ground coriander and filling stew under the lid for 7-10 minutes. 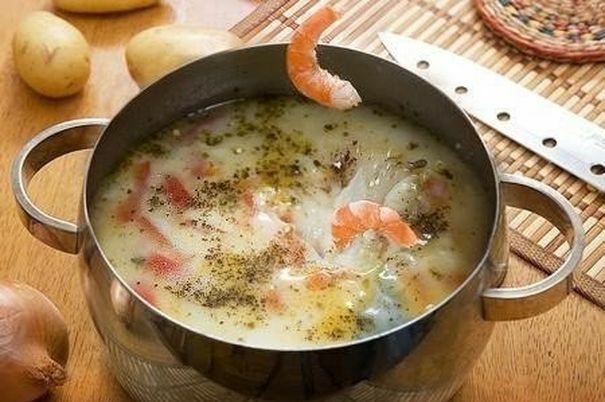 Put the filling into the boiling soup and bring to a boil, and after 1-2 minutes add salt and season with finely chopped herbs to taste. Meat from the bones and divide into portions pieces. 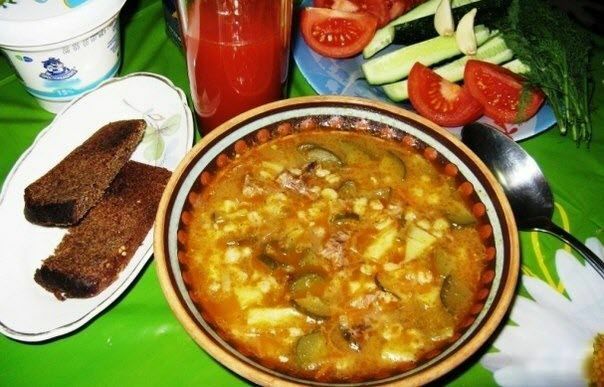 Hot soup is ready to serve portions, loaded with sour cream and putting pieces of meat.